These can be provided with or without ribbons just let us know your preference in the Notes to Seller on checkout. Party Number: 30th, 40th, 50th etc. Loved the cupcake toppers!!! 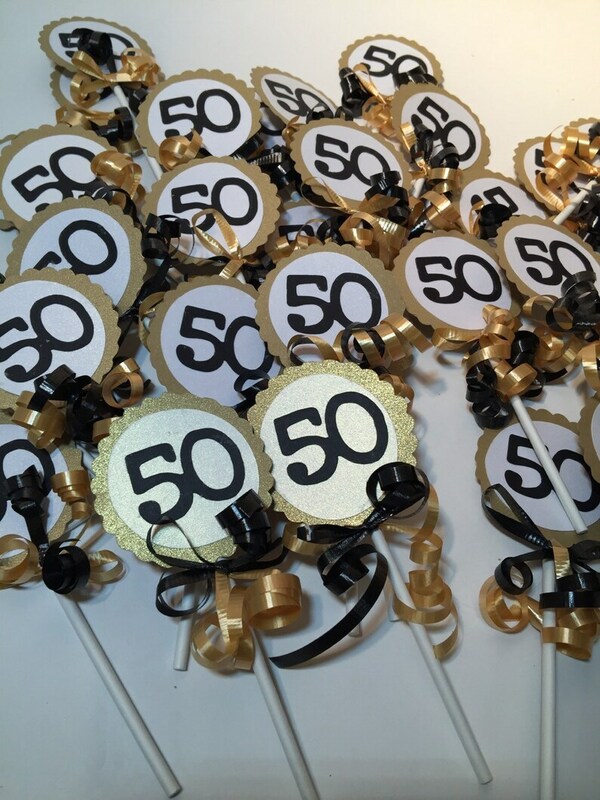 They were perfect for my husband's 50th birthday party! Thank you!